Fr. Robert J. Spitzer, S.J. 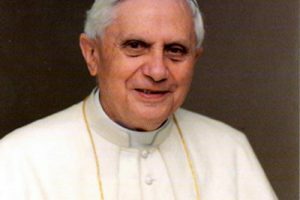 Crisis—Why the uproar from some Catholic pundits regarding the recently released essay on the abuse crisis from Pope Emeritus Benedict XVI? I think it’s pretty simple—regardless of what else one thinks of Benedict (and most of the critics were never fans of his), he speaks and writes with a voice that is truly paternal. The man has fully lived out his priesthood as “Father,” and, even in his nineties, he has a father’s care for the faithful. Benedict’s voice is a unique mix of theological clarity, precision, and paternal affection. Many would rather ridicule and criticize his words instead of accepting them as they would those from a loving father. But it’s precisely because of his unique voice that the critics are hard-pressed to dismiss him. Let’s take a brief look at his essay on the abuse crisis, originally published in German for a modest monthly Bavarian publication called “Klerusblatt” and addressed largely to his fellow German clergy. Your personal data will be used to support your experience throughout this website, to manage access to your account, and for other purposes described in our Private Policy (https://www.catholicbusinessjournal.com/private-policy/).